Cynthia Odier, born in Egypt of Greek descent, trained in ballet at the Geneva Conservatory and with Serge Golovine before joining the Grand Théâtre de Genève ballet company. After four years spent in the US, she returns to Geneva where she studies communication sciences before working in advertising. In 1999, Cynthia begins laying the groundwork for what would later become FLUXUM FOUNDATION. Notable productions of this period include the ballet La Bayadère, presented at the Grand Théâtre de Genève, followed by Face to Face, for the United Nations. In 2000, she launches a collaboration between the Art and History Museum in Geneva, the Grand Théâtre de Genève and the Ensemble Contrechamps to reproduce the ballet La Création du Monde, choreographed by Jean Börlin for the Ballets Suédois in 1923. The performance was presented in the Art and History Museum’s courtyard, on the occasion of an exhibition dedicated to Fernand Léger and African Art. This project represented a starting point for collaborations between dance and museums in Geneva. 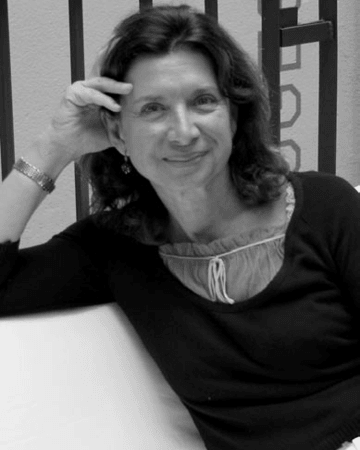 Cynthia officially created FLUXUM FOUNDATION in 2002 alongside César Menz, then Director of the Art and History Museum. The Foundation supports creation and training in the field of dance, and performing arts more generally. FLUX LABORATORY is launched in 2003. It is a multidisciplinary space, dedicated to artistic experimentation. In addition to supporting contemporary dance, Flux Laboratory aims to be a meeting point, where to exchange and reflect, between all artistic forms, in order to decompartmentalise different fields via experimental art projects. Since 2016, Flux Laboratory has also become a collaborative workspace where entrepreneurs can immerse themselves in a creative environment while artists can learn key entrepreneurial notions. Genuine creativity incubator, FLUX LABORATORY opened a new space in Zürich in 2013. The Laboratory’s “Art & Business” philosophy promotes art and dance among local companies and institutions, through artistic productions such as Holy Daughters & Terracotta Daughters, Trans Warhol, and Faces of Human Rights Defenders and the Extractive Industry, etc. In September 2014, Cynthia launches the FLUX BOX concept: a catalysing communication tool to invite both the public and the business world to find inspiration in FLUX LABORATORY’s and FLUXUM FOUNDATION’s archives and past productions. In 2016, Cynthia expanded FLUX LABORATORY’s concept to ATHENS, working mainly with and for children of refugee and migrant camps. Educational projects mixing dance and music represent an opportunity for the children to step out of their daily environment and develop their creativity. FLUX LABORATORY ATHENS collaborates with the Swiss Embassy, the Athens State Orchestra, and the Greek Ministry of Culture and Sports to produce works such as Lagune, by Denis Savary. This piece was performed by Greek dancers at the inauguration of the Contemporary Art Museum of the City of Athens. FLUX LABORATORY ATHENS also coproduces dance and social entrepreneurship films, such as Culinary Cinema Nights and Make Today to Build Tomorrow. With over 400 performances in 15 years (homage to Isadora Duncan, choreographies by Merce Cunningham, John Giorno, Trans Warhol Opera, Tell Me Swiss performance at the Shanghai World Expo 2010, Jan Fabre, DADA 100 in collaboration with Cabaret Voltaire, Roman Signer, etc. ), FLUXUM FOUNDATION and FLUX LABORATORY have brought together leading lights of scientific, political, economic and artistic sectors, while providing budding innovators with a platform encouraging reflection and innovation. Cynthia also devotes her time to various causes; she is a member of several foundation boards and committees, such as the Prix de Lausanne, Des Cinémas pour l’Afrique, No Difference, SOS Enfants, and the International Film Festival and Forum on Human Rights (FIFDH). She is a UNESCO ambassador for dance, and also takes part in public task forces working on challenges linked to economy and culture.